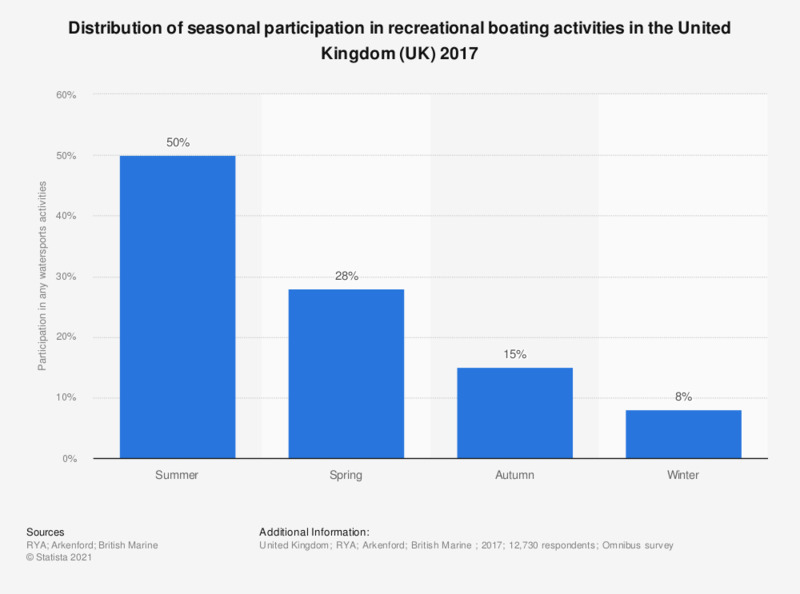 This statistic displays the results of a survey on the seasonal participation in any boating activities in the United Kingdom (UK) 2017. As of 2017, it was found that 50 percent of respondents participated in boating activities in the UK that took place in summer. Autumn - September to October. Winter - December to Frebruary. What activities do you prefer to do for two?